InVision Eye Care always appreciates feedback from our valued patients. To date, we’re thrilled to have collected 67 reviews with an average rating of 4.91 out of 5 stars. Please read what others are saying about InVision Eye Care below, and as always, we would love to collect your feedback. Met with Dr. Riddle. Was very polite and thorough. Everyone was helpful and friendly. Dr. Hedaya gave me excellent care during my cataract procedure. We love coming here. Dr. Hedaya is the best. Very pleasant staff. Dr. Patel is the best! I cannot say enough about my cataract surgery performed by Dr. Hedaya and his staff. Together we decided the Symphony lens with laser surgery was my best option. It was a great decision. I now have bright, colorful, vivid and amazing vision. I experienced zero pain, zero hassle and 100% satisfaction. Thank you Dr. Hedaya and your staff in your office and at the surgical center. You were all beyond incredible. I called to make an appointment due to some irritating eye issues. The office got me in right away and no wait time when I arrived. Quick diagnosis and feeling so much better !! Thanks ! My total experience was great. Everyone was extremely nice and personal yet pleasantly friendly. I've been coming to Invision for about 6 years and as the norm my annual exam was performed in a very pleasant manner with each portion detailed to me as to what was going to be done. 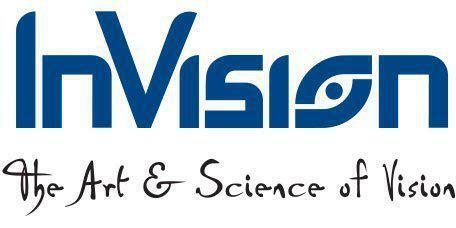 I would recommend Invision for eye exams. Dr. Von Romer performed my PRK surgery to both my eyes years ago. Dr. Von Romer was so wonderful. Before and after my surgery, he followed up with me, made sure I was comfortable 24/7, explained my medications to me, and even made himself available after hours at any time for any concerns I had. The only problem I have ever had there was with continuing appointments. I live in Linden. When I made an appointment after time had passed to see Dr. Von Romer, the staff waited until I arrived all the way in Lakewood to tell me that they didn't accept my insurance, which was odd because it didn't change from the time I had my initial surgery. I never went back. But my rating is based on my experience with Dr. Von Romer, not the staff. i always feel i am in the hands of an excellent doctor. I am very pleased with Dr Hedaya and his staff. I have been in fear for cataracts removal and now that I feel I am ready I went ahead and scheduled the surgery. I feel very confident now that I spoke to Dr Hedaya . He makes you very comfortable and confident. I trust him whole heartly.